Johan Oosthuizen is a local guy from Uitenhage who loves to raise funds for a special cause by cycling from city to city. In October 2017 he cycled from Johannesburg to Durban to raise awareness for people who have to deal with a cancer diagnosis on a daily basis. He decided to donate R5000 to his home town Reach for Recovery Group in Uitenhage. Thank you so much for your support, Johan! We wish you all the best with your next project “Let’s Live for Jayde”. 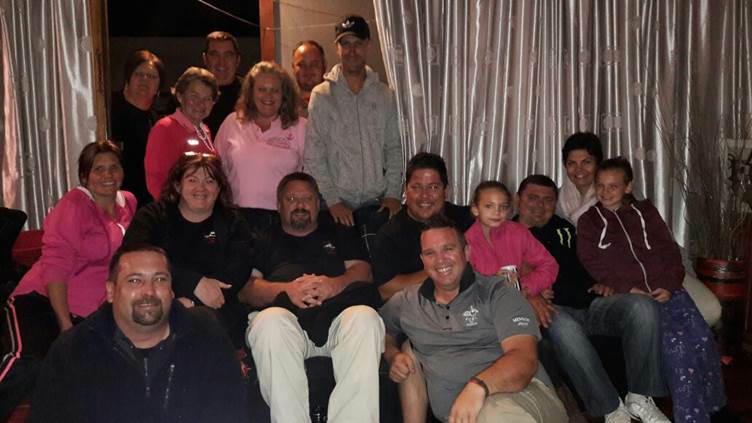 Johan, 4th from left in the middle with supporters and volunteers from our RFR Uitenhage Group.